The results expected today include Eicher Motors, Motherson Sumi Systems, SpiceJet, Amara Raja Batteries, Power Finance Corporation, Skipper. 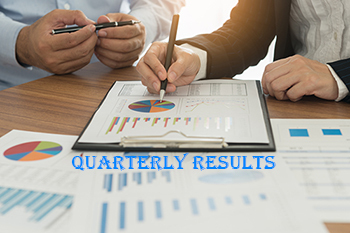 Quarterly results that are expected today include Eicher Motors, Motherson Sumi Systems, SpiceJet, Amara Raja Batteries, Power Finance Corporation, Skipper, Spencers Retail, CESC Ventures, Max Financial Services, Andhra Bank, Corporation Bank. Revenue: Rs2,314cr (up 2% yoy, down 4% qoq). We expect weak volumes in Q3FY19 for RE (down 6% yoy, 7% qoq) to be offset by higher realization (up 9% yoy, 4% qoq), led by introduction of newer models with disc brakes and ABS, which have a higher average selling price per unit. This will be the first time in several quarters that RE will see single digit (yoy) growth. EBITDA: Rs717cr (flat yoy, down 3% qoq). EBITDA margin: 31% (contraction of 73bps yoy, expansion of 38bps qoq). We expect weak volume growth and high commodity costs to dampen operating performance in Q3FY19, leading to yoy margin contraction. PAT: Rs526cr (up 11% yoy, 5% qoq). PAT growth rate will be boosted by higher non-operating income. More companies announcing results today are: Reliance Home Finance, Max India, Oricon Enterprises, Hindustan Aeronautics, Maharashtra Seamless, CARE Ratings, Somany Ceramics, Hindustan Copper, PI Industries, Ashiana Housing, Jaypee Infratech, Aarti Drugs, Sterling Biotech, JBM Auto, McDowell Holdings, Gujarat Narmada Valley Fertilizers and Chemicals, Dynamatic Technologies, Jindal Drilling and Industries, Gujarat Industries Power Company, Federal-Mogul Goetze (India), ITD Cementation India, The Great Eastern Shipping Company.